Atlas Stageworks Lighting (ASL) offers a complete range of production lighting and rigging services. We specialize in getting complicated systems loaded in smoothly and functioning quickly. No matter the scale, from a basic set of colorful gelled up-lights to a comprehensive arena package with dozens of motors and hundreds of fixtures, we can work with you to find the best solution to your production challenges. We have the expertise to help you develop a plan, to expand upon an idea, to make it easy for you to work within your budget, and to create an event that will make you look great. If you are interested in having ASL support your next event, please contact Michael Pryal by email at mike@atlasstageworks.com or by phone at 919-839-2288. Visit our home page to view Gallery to view images of our work. ASL’s large inventory of automated lighting can create spectacular effects. 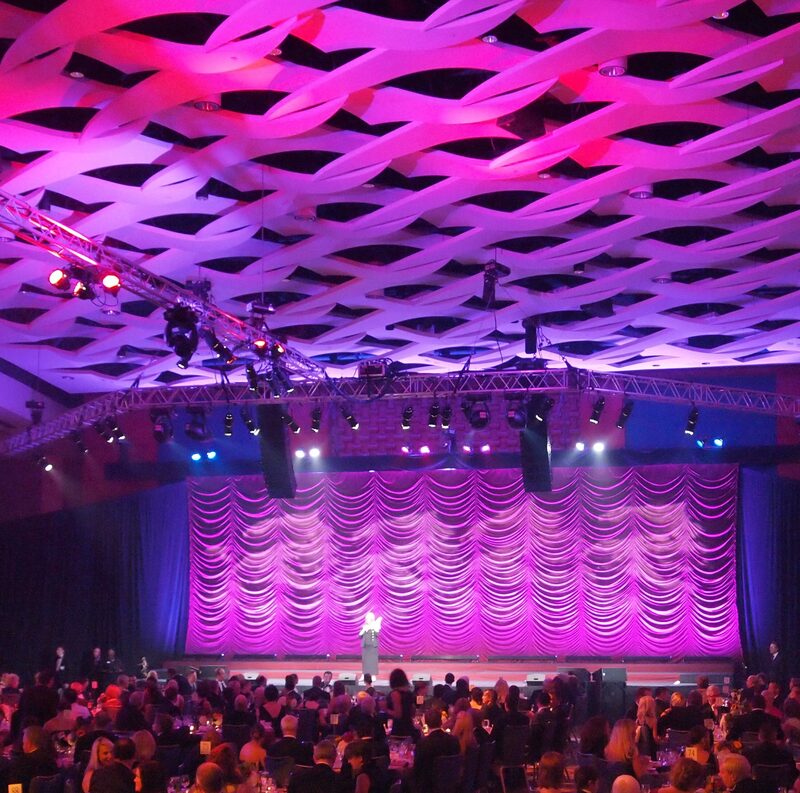 Save time and money on decorations by using our color wash and gobo texture fixtures to transform ordinary ballrooms into vibrant environments. LED fixtures can create a large impact with limited power use that is both versatile and eco-friendly. Conventional stage lighting creates a theatrical look and properly lights presenters for video recording. Our huge inventory of truss, chain motors, and lifts can create lighting positions virtually anywhere. Theatrical truss is also a versatile system for building scenic backdrop and trade-show structures. Hazers and foggers create beams of light in the air. Fiber optic curtains and glowing scenic panels bring stage backdrops to life. Other effects, such as mirror balls, strobes, and beacons, can transform a corporate banquet into a party in an instant.